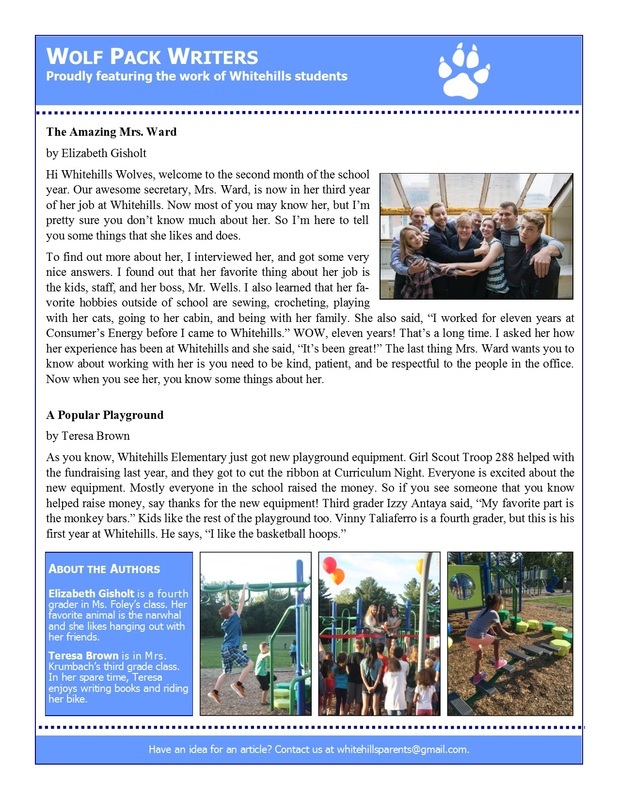 The Wolf Pack Wire is the WSA's monthly newsletter. 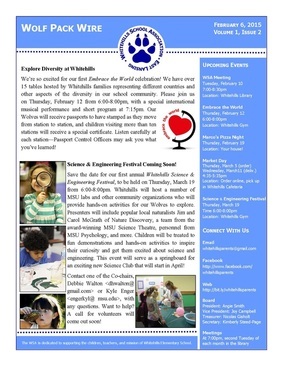 It contains a calendar of upcoming events, and short articles on various WSA initiatives, including events and fundraisers. Hard copies are sent home the first week of the month, and past copies are archived here on this website. Since 2016, we also feature student writing in the Wolf Pack Wire! If you have a budding journalist who is interested in writing an event review (encouraging fellow Wolves to come to an upcoming event), a paragraph about a cool thing to do in the community, an interview with a staff member, a story, or something else, we’d love to hear from you!